Variable dimensions; 12' 2.5" x 9'4"
2 parts: Digital video; Plastic container, cacao, agave, coconut oil, maca, vanilla, goji, pomegranite, acai, sea salt, usb flash drive. Town Page of Unfinished Draft of Poem Titled "Mature Themes"
Peninsula Art Space is pleased to present Ambients, a group exhibition including Sean Thomas Blott Andrew Durbin, Eileen Maxson, Aiden Morse, Wyatt Niehaus, Corwin Peck, and Jordan Tate. 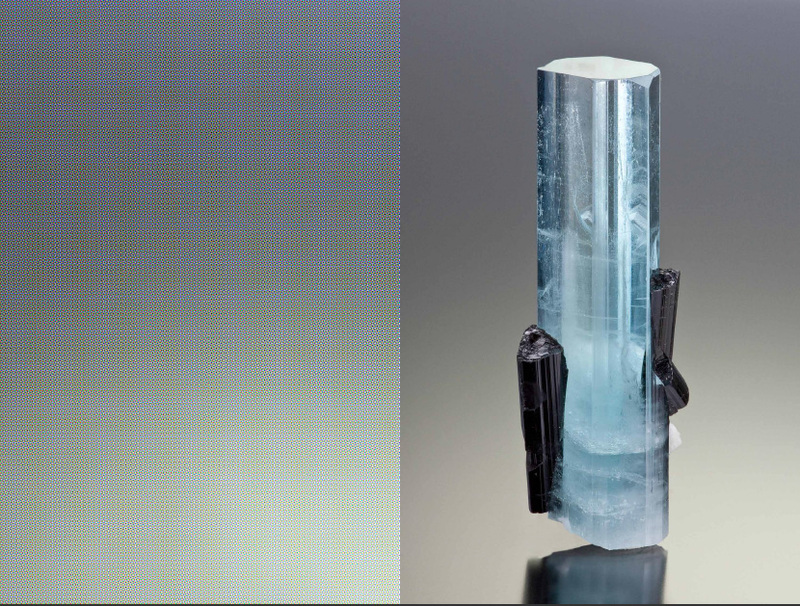 The works in this exhibition spur arrest in ambiance. Through an engagement with photographic technology, networked systems of connectivity and citational regress, syntaxes defined by new digital cognition, and calendrical pasts, ambient presents, and digital futures, the artists in this exhibition present an array of works which seem at once contained and dispersed. The exhibition title, Ambients, loosely refers to the process of ambient calculus, devised in the late 1990s, to describe simultaneous and mobile computational systems. An unlikely and partially reductivist (and decidedly metaphorical) coincidence of the term ambient within this context nevertheless provided the impetus to think through each work according to this syntactic logic. At the root of the calculus, and where the computation occurs, is the ambient: a bounded place with the capacity for mobility within itself, and as a holistic entity. Ambients can take the form of web pages or smartphones, with a range of possibilities between a beyond. An ambient is always named (read titled), and can live within other ambients. Mediated bodies and objects gather in the exhibition, each within their singular ambient bounds. Often defined by a chromatic landscape, a color-stamp with monochromatic range, they engage in a perplexing form of ambient motion, where surrounding spaces provide a stasis that hints at halted, sometimes spaceless, motion. Condensation gathers on gelatinous, disembodied fingers floating mid-air in a bubble-gum pink, flattened horizon in Aiden Morse’s Fingers. In Untitled for Parallelograms, Morse constructs an uncanny environment composed of layers of plant life and human activity, in which confined mobility is the rule. Large droplets congregate too on Wyatt Niehaus’ New Identity Composition, forming a condensed identity, which needs no human presence, on a screen-like display. 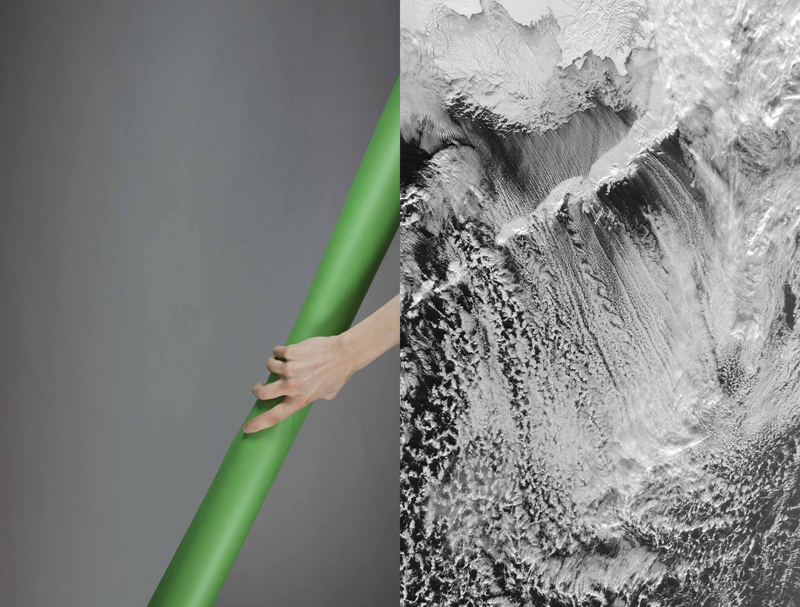 In Jordan Tate’s Gamut Warning photographs, partially uncovered hands reach out to grasp at vaporous backgrounds or undefined objects, while technological curiosities and textures, rendered curioser still as sleek, digital apparitions draw outside of themselves, and outside of the photographic frame, suggesting a form of vision enacted by the photograph itself. Or again, the ambient: “a single data object (bounded by “self”)” (Wikipedia). More arms still: in Sean Thomas Blott’s work, an absent hand reaches into a sealed Doritos bag, leaving its mark on the package instead. 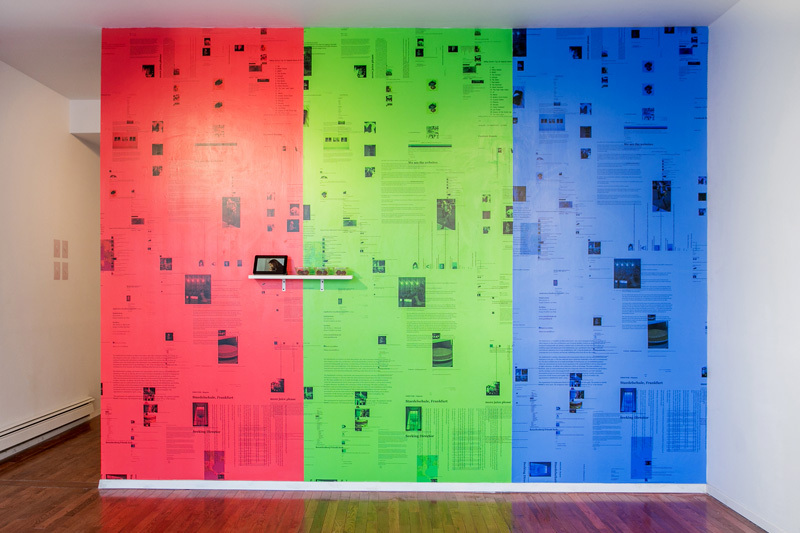 Corwin Peck’s Repaste Wallpaper (RGB), lays out the apparatus of Tumblr reblogging, suspending it from continued, hyperlinked, citational threading, and flattening it out into a dimensionless space where vision enables ambient motion. This wallpaper provides the backdrop for Peck’s video and installation, Content Share | Bite for Bite | Chicken Burrito, wherein shared consumption, progressing towards completion, plots the waning of content over time. 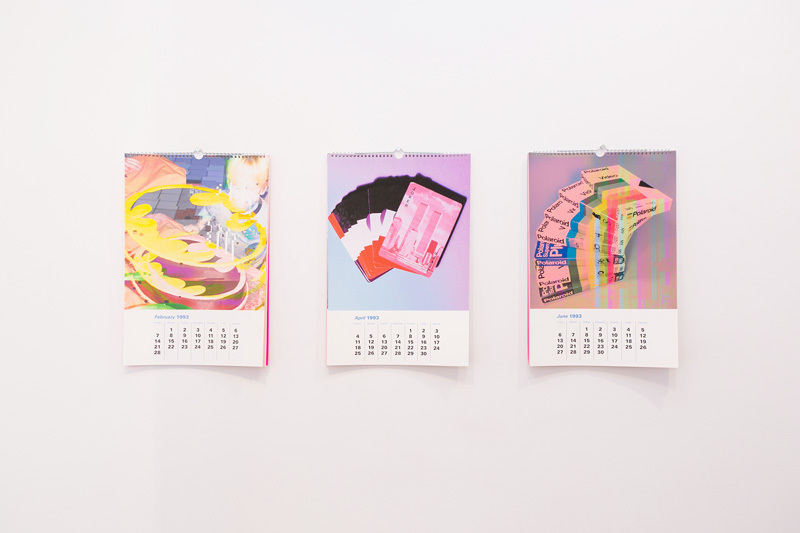 Eileen Maxson’s Clearance, 1993 calendars loop interminably in and out of the distance between the evergrowing past they have occasioned, each month adding to a growing temporal gap, which translates into ambient space. In Andrew Durbin’s Torn Page of Unfinished Draft of Poem Titled “Mature Themes,” this gaping distance is made manifest. The page, halved and separated, generates an ambient reading experience, one in which the eye moves from word to word, from Rhonda to Rhonda, from party to party, till the sun rises, with futurity never quite in reach. The exhibition is accompanied by the publication, Friends, conceived by Corwin Peck, which is available to print-on-demand on Amazon.com. Sean Thomas Blott is an American polymath artist currently based out of the Midwest. He received his BFA from the Kansas City Art Institute with an emphasis in sculpture and drawing. Sean Thomas creates his sculptural works out of found objects that he can use to incorporate his niche art jokes and create a personal narrative of sorts. In addition to his studio practice he runs the gallery Bahamas Biennale. Andrew Durbin is the author of Mature Themes (Nightboat Books, 2014) and several chapbooks, including Believers (Poor Claudia, 2013). His writing has appeared or is forthcoming in BOMB, The Boston Review, Conjunctions, Fence, Triple Canopy, and elsewhere. Beginning Fall 2014, he will be the Talks Curator at the Poetry Project. He co-edits Wonder, curates the New Agendas reading series at Macie Gransion, and lives in New York. Eileen Maxson is an interdisciplinary artist living in New York and working at the confluence of video, performance, and installation. She received her MFA from Carnegie Mellon University and attended the De Ateliers program in Amsterdam. Maxon’s works have been seen at museums and microcinemas from Texas to Tel Avid, including Anthology Film Archives, Art in General, Los Angeles County Museum of Art, Light Industry, Museo Tamayo de Arte Contemporaneo, the New York Underground Film Festival, Portland Documentary and Experimental Film Festivals, and on the Internet. She is the first recipient of the Arthouse Texas Prize and is currently an artist in residence at the ISCP program in Brooklyn, New York. Wyatt Niehaus’ 2D, 3D, and video works trace the visual culture and social circumstances of market economies in an era of intense technological proliferation. His writing has been included in the International Journal of Art and Design Technologies and The Unlike Us Reader - Hogeschool von Amsterdam. His visual work has been displayed in exhibitions at Antenna, Chicago; Nouvel Organon, Paris; Mixed Greens, New York; and Museum für angewandte Kunst, Vienna. His first solo exhibition, Body Assembly, opened at Weekends, Copenhagen in February 2014. Jordan Tate is an Assistant Professor of Art at the University of Cincinnati. He has a Bachelor of Philosophy in Interdisciplinary Studies from Miami University and a Master of Fine Arts in Photography from Indiana University. He was a Fulbright Fellow in 2008-2009. 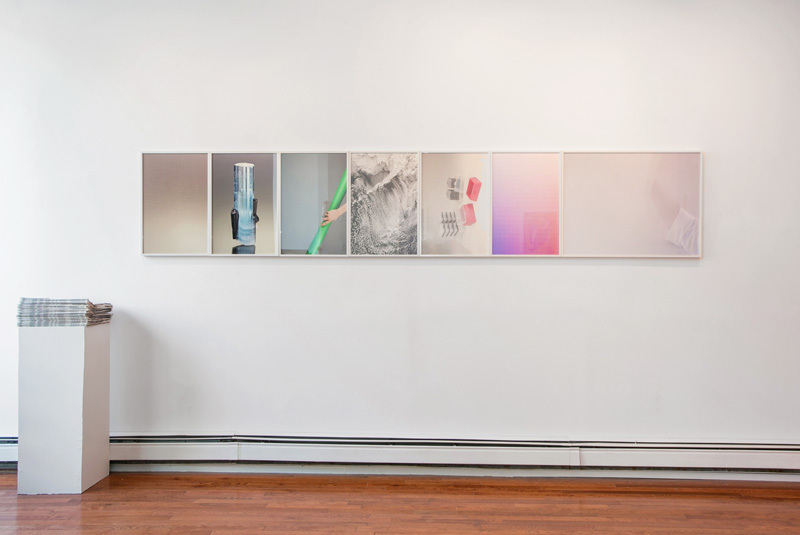 Tate’s work is currently held in collections nationwide, including Rhizome at the New Museum, the Museum of Contemporary Photography, The Fred and Laura Bidwell Collection, the Cincinnati Art Museum, the Columbus Museum of Art, and the Museum of Fine Arts, Houston. Recent exhibitions of his works include: Herron School of Art, PH Gallery, Indianapolis; Higher Pictures, New York; The Photographer Gallery, London; the Museum of Contemporary Art, Cleveland; and Denny Gallery, New York.